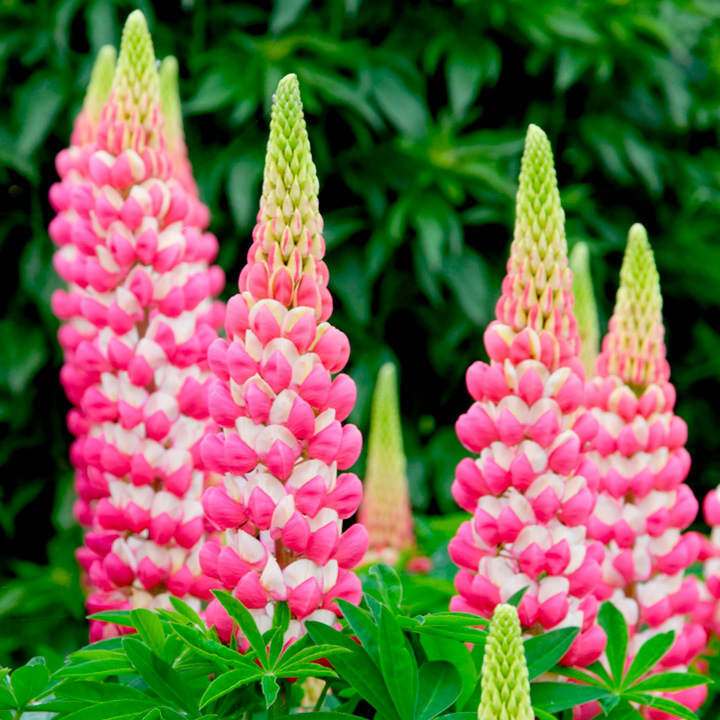 The Lupin is a much-loved cottage garden plant. 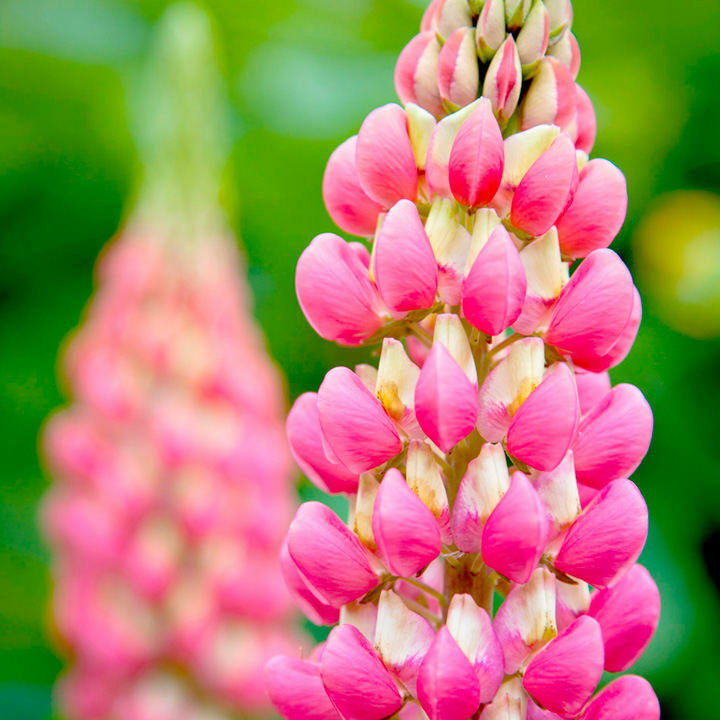 The 'Westcountry' lupins are class-leading, selected for disease tolerance, upright stems, perfect flower form and clear colours; it's the epitome of a good garden plant! 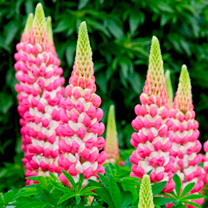 They're uniform and hardy with large flowers in a great range of colours, and their strong, bushy, upright habit means that staking is not necessary. Rachel De Thame - Deep-pink-and-white bicolour. Flowers July-August. Height 80-90cm (32-36"); spread 50-60cm (20-24").